sailboat. 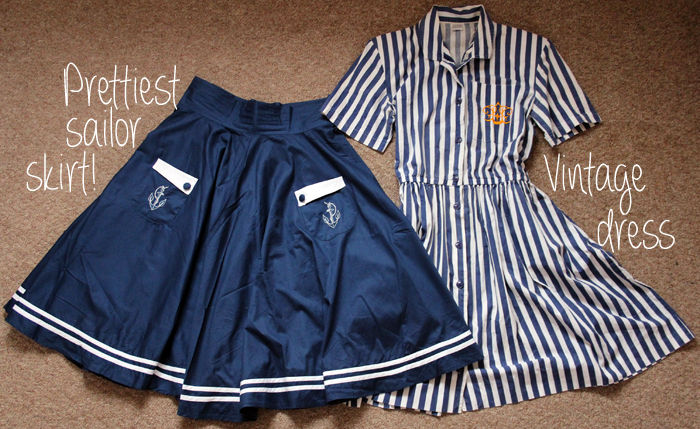 : New Purchases: Hell Bunny Anchored Skirt & Vintage Shirt Dress. New Purchases: Hell Bunny Anchored Skirt & Vintage Shirt Dress. Last weekend I discovered the vintage/vintage inspired clothes section of eBay (I know, I'm totally late on this one!) and I fell in love with so many things! It makes a refreshing change from the high street for me where everything is super short or completely see though. I just don't have the figure for things like that and I also feel like my style is changing a little. Recently I've been really inspired by vintage fashion bloggers, specifically Esme and the Lane Way who is just stunning, and now I'm all about filling my wardrobe with pieces that really suit my body shape, not just things I love but will never wear. I wasn't really looking for anything in particular so I just started looking through and one of the first things I saw was this striped shirt dress, it was love at first sight. I love the preppy feel, the short sleeves and it fits like a dream which I'm super happy about! It's about knee length on me which is perfect and I like how I can wear this in the summer on its own and with tights when it's a little cooler. 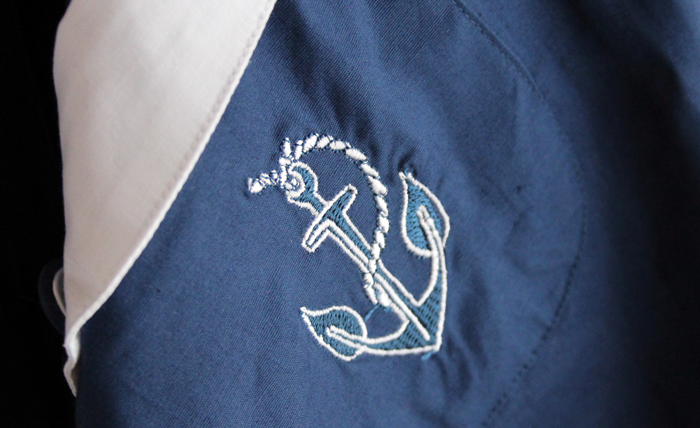 Also sticking with the nautical theme, as soon as I saw this Hell Bunny Anchored Skirt I knew I had to have it, it was the sweet anchor details that sealed the deal I think! Hell Bunny is now a brand I wish I had known about sooner and I have so many things on my wish list already, specifically this Adelaide skirt! I purchased from Attitude Clothing's eBay store but they also have their own website here. Shipping was super fast and I can't recommend them enough! I'm so so so excited to wear this, when it finally stops raining! Have you found your style has changed a lot over the past few years? Do you always buy clothes that suit your body shape or have you been guilty of buying something that has been hyped up in the bloggersphere too? I really love the items you've picked out! I could never wear the skirt though, I'd look kind of bulky in it :) I really love the dress though! It's perfect for spring and summer! Great post! Sooo cute! Love them both! I want the dress so badly! Oh Jennie! That skirt is so you! Both pieces are so pretty. Definitely let us see you wearing it, when you get the chance! Wow, that vintage dress is such a precious find! Sometimes I like to dabble in hyped up trends, but I definitely don't wear it if it makes me feel weird. Both of these are lovely! Im desperate to get my hands on that skirt now that I'm aware of it's existence. Will you do a post styling these when you choose to wear them? I'd love to see that!